UPDATE: See the Best Fog Lights 2017 rankings. With many options available, which are the best fog lights? From halogens, to HIDs and LEDs, we’re going to answer that question right now. For those that are looking for maximum performance and longevity, HIDs are your absolute best choice. HIDs provide more light output than any other type of bulb on the market, with the exception of some LEDs (LEDs have some other downsides). Kensun has taken our top spot for the best fog lights for many reasons. 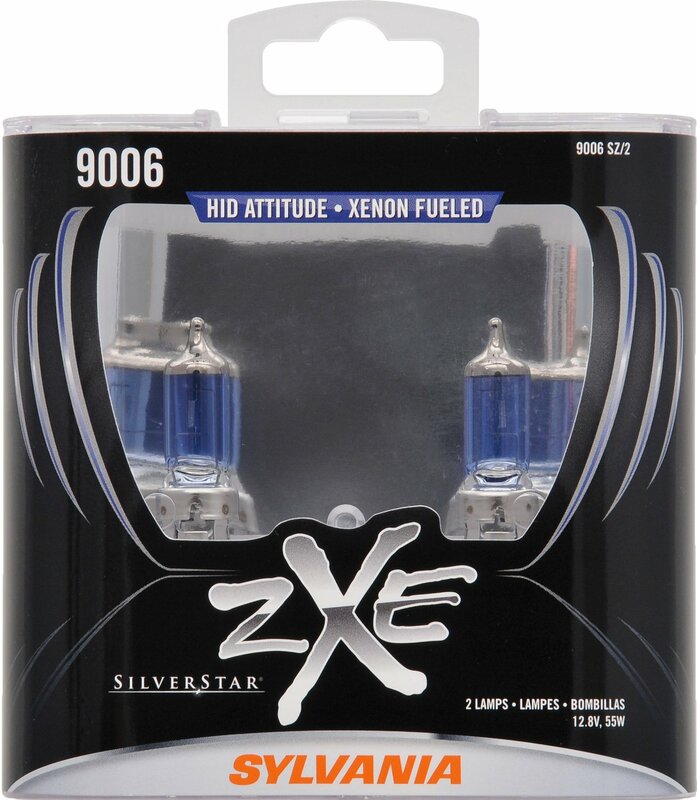 They have become one the top selling brands in the HID headlight space. 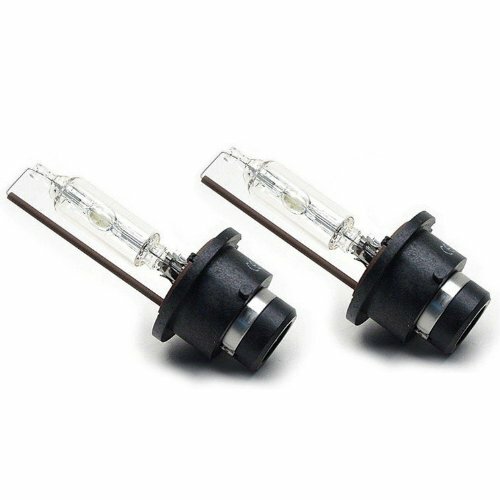 They sell both HID replacement bulbs as well as HID conversion kits, which you’ll need if you’re vehicle comes equipped with halogens from the factory. This particular bulb comes in 10 different color options, including yellow (3000K). 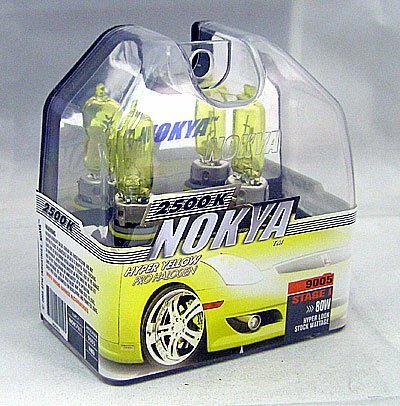 So if you want yellow fog lights, these will give you the most intense yellow light available. HIDs just plain out-perform halogen bulbs, hands down. It’s better technology, period. They’re much brighter than halogens, and the service life of and HID bulb is typically longer than that of a high performance halogen bulb. 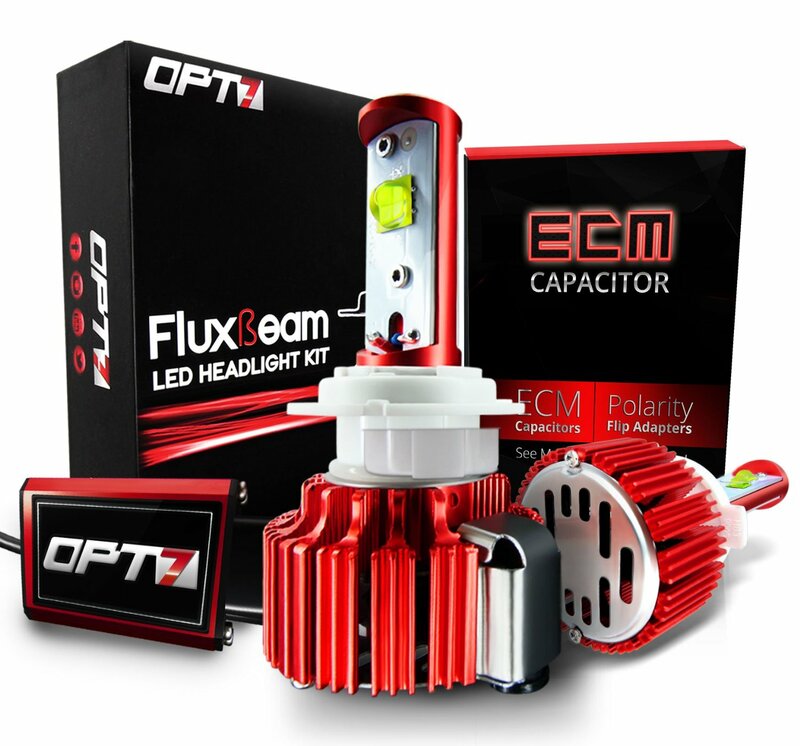 OPT7 has emerged as the leader in replacement LED headlight bulbs, and number two on our best fog lights list. Their LED conversion kit provides many size options, and produces a bright white light color. These LED bulbs produce a light color that looks very similar to HIDs, with some minor differences. LED headlight or fog light bulbs have single LEDs that are mounted to the sides of the housing. Therefore, the light output may not me perfectly intense at 360 degrees, unlike HID that accomplish this well. The major upside to LEDs is the service life. At 50,000 hours, you’ll never find anything else that comes close to lasting as long as these do. 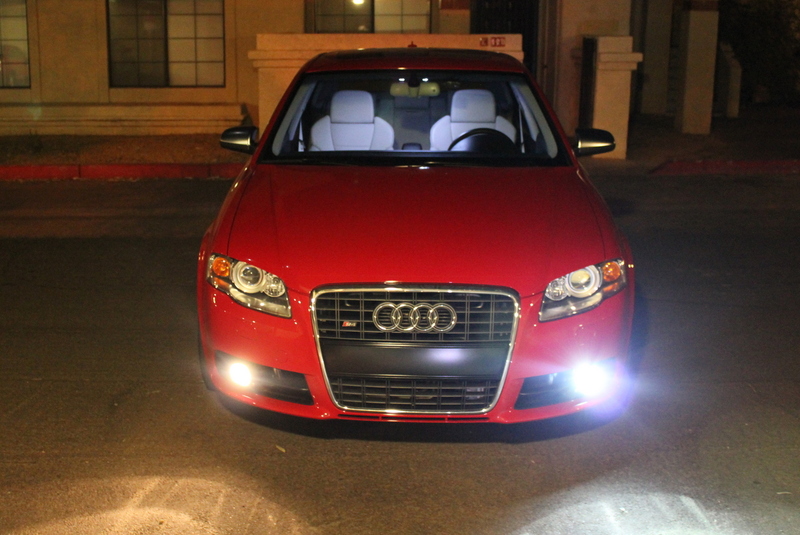 Even with that slight downside, these LED fog lights come in at number two on our list. Excellent choice for anyone looking for a bright white light, and long service life. 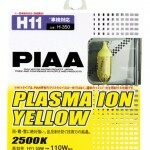 These yellow bulbs have received 4.6 stars out of 5, and PIAA is a very good and trusted brand anyway. If you are in the market for yellow halogen headlights, I suggest you consider these. These will give you that euro look, and discharge a very yellow light. You can’t go wrong with these. 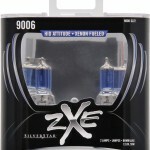 These are an OEM direct replacement for your vehicle, so there would be no modification to install these. Just make sure you purchase the correct bulb that fits your vehicle, as not all bulb connectors are the same. Visit Sylvania’s bulb lookup to find out which bulbs will fit your fog lights. These currently have a 4.4 out of 5 star rating on Amazon.com. These will also give you the yellow fog light look that you’re looking for, but they’re also not very expensive (around $10 for a pair). 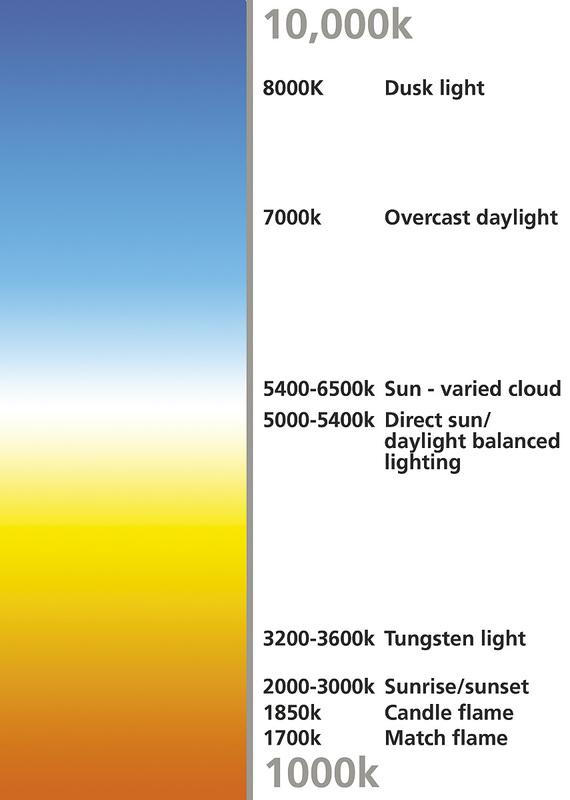 Both will give you a color temperature of 2500k, which is well into the yellow spectrum. As you consider the two brands, PIAA is well know, well established and that is primarily what you are paying for with the added cost. It’s likely that their construction is better as well. Nokya is not a bad brand, but their’s is not as widespread and well known as PIAA, hence the cheaper price. It’s likely that you’ll be happy with either bulb. These bulbs by Sylvania will be higher on the color temperature scale than most halogen bulbs, however, they will likely be close to white, with a slight blue tint. If you’re going to go blue, staying lower on the temperature scale will give you increased visibility, while keeping that blueish look. If you’re going to a deep blue, don’t buy these. As a second option, consider going with some LEDs. LEDs put off a very intense light, and look a lot like an HID bulb, but you won’t have to modify anything to use them. No conversion kits required. Although they look bright, they don’t throw the light very well. Down road visibility is limited, but they look great, and to some, especially since fog lights are secondary light, that’s OK.
Yellow Fog Lights, Are They Really Better in the Fog? For many years people believed that because yellow light has a relatively long wavelength it would be less refracted by the moisture in the air, allowing the driver to see further in fog. I think we’ve all experienced driving in the fog or snow and turing on our high beams and it becomes difficult to see. That’s because the light is being refracted and scattered across the molecules in the air. Although it’s true that yellow light has a relatively long wavelength, it’s negligible when dealing with particles the size of rain, snow, and fog. In other words, it doesn’t really do anything. And actually, if you’re going to go the scientific route, red light has the longest wavelength, so we should all be driving around in the fog with red fog lights, right? Wrong. I don’t know about you, but I’d be awfully confused when I saw red lights coming at me through the fog. It’s likely that it would look along like someone was traveling in reverse. Now that we have that out of the way, why are yellow fog lights still around? 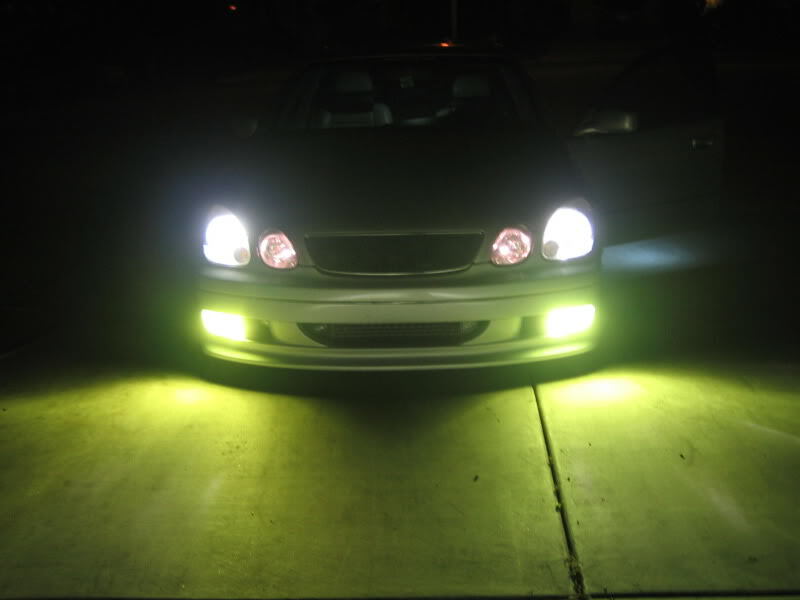 Because yellow fog lights look awesome! If people want them, then car manufacturers and after market parts companies will keep making them. Another very interesting fact is that the light that is most visible t o the human eye is the color temperature of 5800K. Or in other words, the color of the light that is radiated by the sun. Imagine that. So you’ve got t choice to make. Do you go for visibility from the driver’s seat, or do you go for what looks cool from the outside looking in? There is no right answer. The fact is that yellow light isn’t bad for the eye, it’s just not ideal. So the compromise is minimal. If you’re going for visibility at night, and in the fog, look for a bulb that will put out light at the color temperature of about 5500K. You’ll find that most of the high performance bulbs will accomplish this for you. Blue Fog Lights, Are they Worth the Vanity? Based on the light color chart above, blue lights are a little tougher for the eye to see. Depending on just how blue you go will determine how difficult it will be to see at night. Will blue light help you see better in fog? No, Blue has a short wavelength, and is at the opposite end of the spectrum from yellow and red. 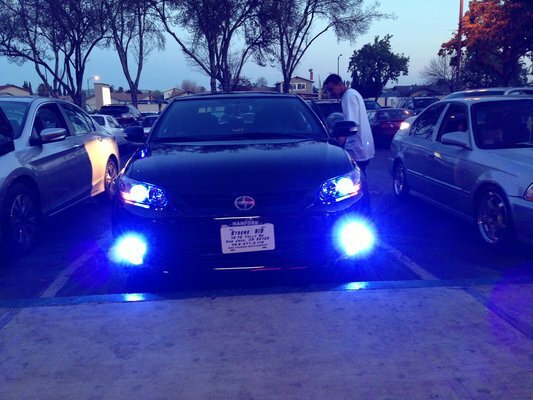 Blue could be one of the worst foglight colors you could choose for your fog lights. Once again, you’ve got a choice to make. If you live in an area that rarely see any fog, like where I live, you’ve got nothing to worry about. However, if fog is a part of your daily routine, then I’d steer clear of blue fog lights. When it comes to fog, I’d rather make it through than look good. If you like the look for blue light, I’d suggest you go with a slight blue, like a bulb that emits a color temperature of about 7000K. Anything past that might be a little too blue, making it tough to see. HID, or high intensity discharge, fog lights, or any headlights for that matter, will almost always emit more light than a halogen bulb, and look better doing it (in my opinion). There are many fog light bulbs out there that try to mimic the look and color of HID bulbs and from where I’m sitting, they’re left wanting. HID fog lights are ideal, and if your vehicle is already equipped with them, great, but if it’s not, all is not lost. 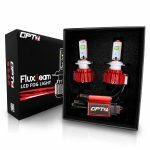 There are many HID fog light kits out there that will convert your existing halogen setup to and HID bulb set up, so it can be done. However, be aware that the headlight housings are not all created equal. In other words, headlights that were built to take a halogen bulb, in many states, will produce a lot of glare for on-coming traffic, making it illegal. 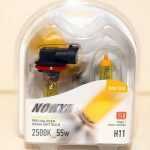 If you are going to install an HID conversion kit on your vehicle, I suggest you take some time to do some research surrounding the laws in your state regarding HID conversion kits. There’s nothing like spending money on a kit, just to have to spend more money on a ticket, then have to revert back to halogens anyway. The projector is that glass eye-looking thing that you see in a lot of high end vehicles. The projector controls the high intensity light being emitted by the HID bulb, and keeps it from glaring in the faces of oncoming traffic. This is the right way to install an HID conversion kit on your vehicle. You should not have to worry about getting a ticket if you have use a projector in your headlight housing. One major downside to HIDs is that they are more expensive than a halogen bulb. 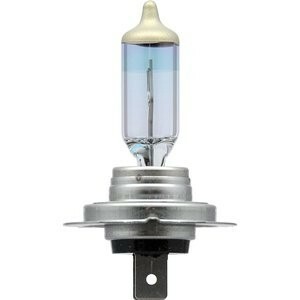 HID bulbs will out perform most halogen bulbs, but you will pay extra for the added performance. Although, generally, HID bulbs will outlast a halogen bulb, especially the high performance halogen bulbs. In doing some research on the longevity of halogen bulbs vs HID, HID bulbs will often last for 100,000 miles or more, which for many could take many years, while high performance halogen bulbs will only last about 10,000 to 20,000 miles depending on how much they are used. Many vehicles these days have their headlights on always as long as the vehicle is running, which will wear out the bulbs quicker. The good news is that fog lights do not fall in that category, so you’re likely to see them last much longer. If you’re going to simplicity, just stick with the bulb type that your car is made for, however, if you’re looking for the added performance and improved appearance that an HID bulb brings, then get a set of projector lenses and go HID. You won’t be disappointed. So what is the best fog light? The answer is… it depends on what you want. 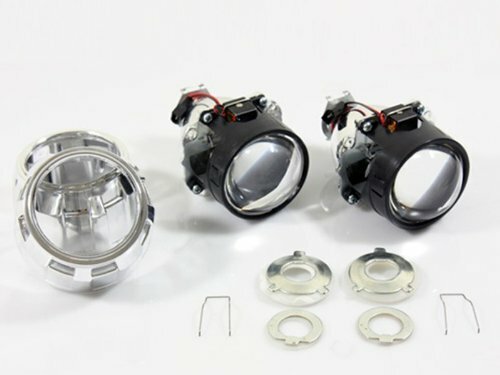 However, consider the purpose of fog lights, (to help you see better in the fog) and you consider the color temperatures that are the easiest for the human eye to see (around 5500K) then the champion would have to go to the Sylvania D1S High Intensity Discharge (HID) Fog Light Bulb. It’s the right color (5000K), it lasts the longest (some HIDs have been known to last the life of the vehicle), it puts out more light than it’s halogen competitors, and it’s made by one of the most trusted and leading automotive lighting manufacturers around. 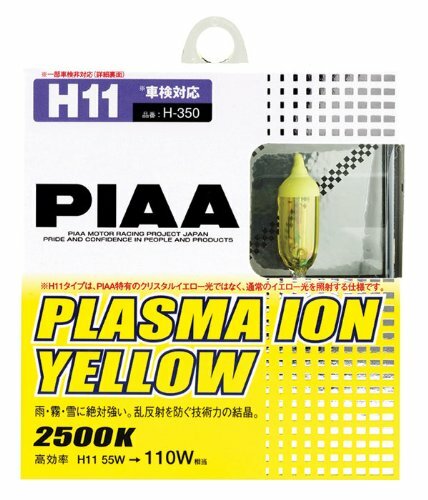 The only downside is that most vehicles are not equipped with HID fog lights, so as a close second, and a personal favorite, the PIAA Plasma Ion Crystal Yellow fog light bulbs are the clear (no pun intended) winners of this comprehensive comparison. But I’m a sucker for yellow fog lights. What’s your preference?